I have to admit I was completely charmed and enthralled by this wonderful copse of mixed birch and Scots Pine at the end of Loch An Eilein. The harmonious muted hues of powder green lichen, flaky red Scots pine bark and alternating columns of red, white and dark brown made a wonderfully dense backdrop through which virtually no daylight could be seen. 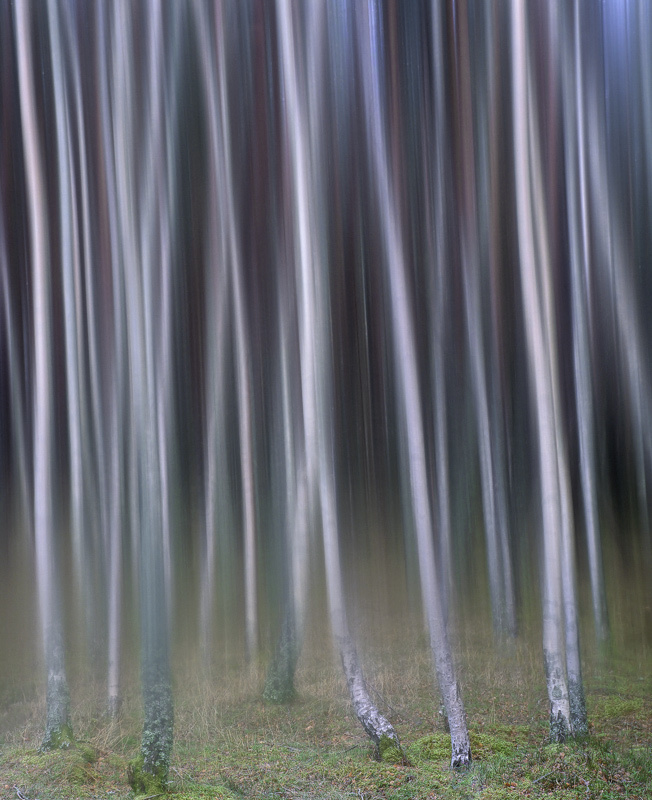 Although I have a perfectly standard shot of this woodland copse, smearing vaseline horizontally over a filter caused the birch and pine trunks to blur and blend seamlessly into each other to complete the fairytale appearance I envisaged in that soft pre-dawn light.